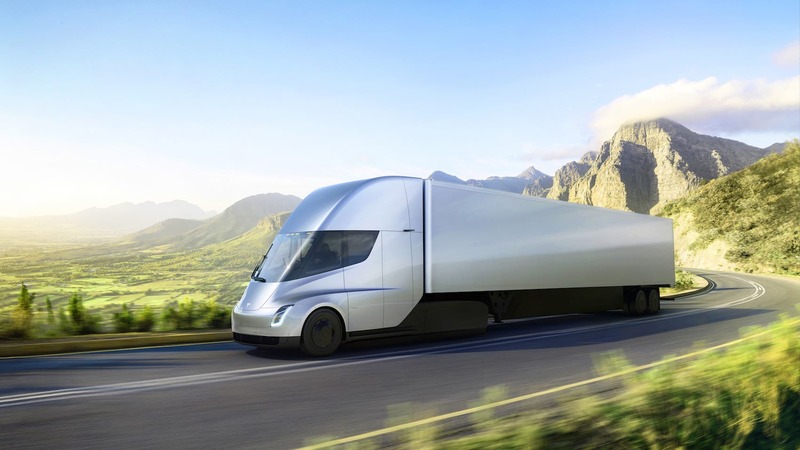 Tesla has listed the expected base price of a Tesla Semi with 300 miles of range at $150,000 and the expected base price of a Tesla Semi with 500 miles of range at $180,000. Like with Tesla’s other vehicles and products across a wide variety of markets, consumers seldom buy the base option. People want features and will pay for features. Companies are not that much different. It may not be about getting pretty rims and a special color, but I imagine companies buying Tesla Semis will want advanced autopilot features and other add-ons. I also assume many companies will buy the longer range Semi (500 miles of range rather than 300 miles of range). Throwing those assumptions together, let’s estimate that the average price of a Tesla Semi purchase will be $170,000–200,000. What’s the point of all this number chatter? Well, with Tesla Semi orders (aka pre-orders, aka reservations) pouring in, I was curious to see what kind of revenue that might mean, and what kind of profit that might mean, and what those numbers might be at full-scale production. ◊ In the second two rows, assuming 276 orders are just 5% of orders (over some undisclosed and nebulous timeframe), I raised the order total to 5,520. 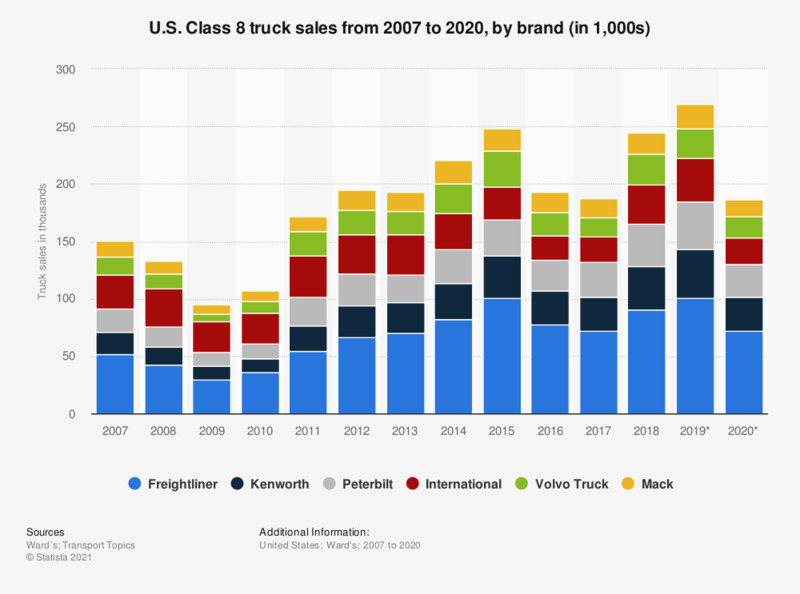 ◊ Considering there were approximately 200,000 Class 8 truck sales in the US in 2016, 5,520 orders in a single year (if that’s what we’re assuming) would be nearly 3% of the US Class 8 market, which seems like a reasonable enough market share for now. 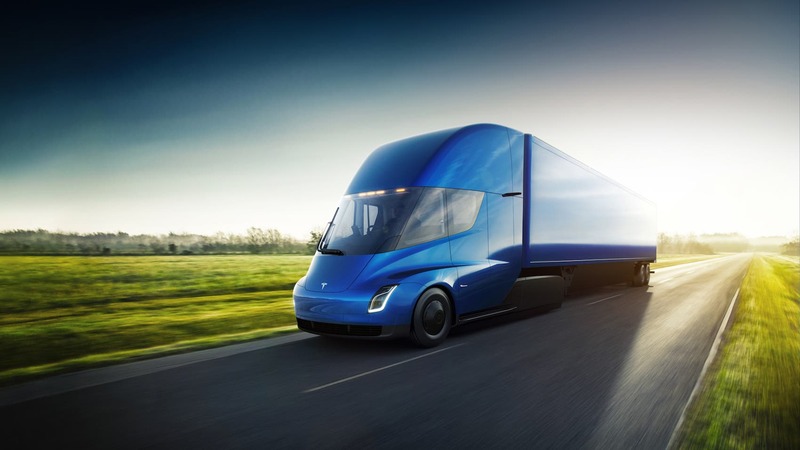 ◊ Of course, the global market is much bigger and Tesla is selling its semi trucks globally. I couldn’t find the global Class 8 truck market size, but I found a total of 3.5 million “heavy trucks” a year. Going with the assumption of 5,520 Tesla Semis sold in one year, those Tesla trucks would account for 0.16% of the global market. Pretty negligible … for now. ◊ I couldn’t find anything on typical gross margins on Class 8 trucks, so I pulled a few numbers out of a hat and they ended up being 7%, 10%, and 15%. Running with those, we get profits ranging from $3.3 million (on the public Tesla Semi pre-order batch, an assumption of a $170,000 average selling price, and an assumption of a 7% gross margin) to $165.6 million (on an assumption of 5,520 sales, an average price of $200,000, and a gross margin of 15%). We could play with plenty of other assumptions. I was just curious to consider in a little more detail what the Tesla Semi business could mean … and was eager to have a little number fun. I’d love to see feedback on the assumptions to see if anyone has some more solid numbers we could plug in, and I’d be more than happy to see the results of some of your own number crunching if you’ve done it. As should be clear by now, I’m not advising that anyone make any concrete life decisions on these calculations.